Book Speak! Poems About Books | Shelf Elf: read, write, rave. Whenever I come across a great new picture book poetry collection, it takes me no time at all to think of all sorts of possible lesson ideas for the small people I hang out with everyday. 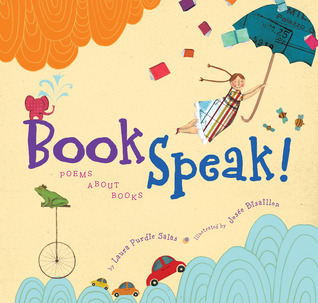 One of Laura Purdie Salas’s most recent books, Book Speak! Poems About Books, has to be every Teacher Librarian’s happy place. A book filled with poems about books? Yes please! It is loaded with read-aloud possibility. 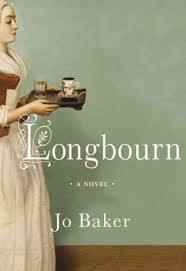 It would be a wonderful book to integrate into library welcome tours in September. Guess I’m ready for next year already. Check! The collage artwork by illustrator, Josee Bisaillon, offers a quirky and whimsical counterpoint to Salas’s clever and thought-provoking verses. Some of the subjects for the poems include: the sadness of an unread book, cliffhangers, falling asleep while reading, book plates, conflict, and what happens when the lights go out at the bookstore (which we already know about, thanks to this). Book Speak! Poems About Books is published by Clarion. This entry was posted in Picture Books, Poetry, Teacher Titles on April 15, 2012 by shelfelf.